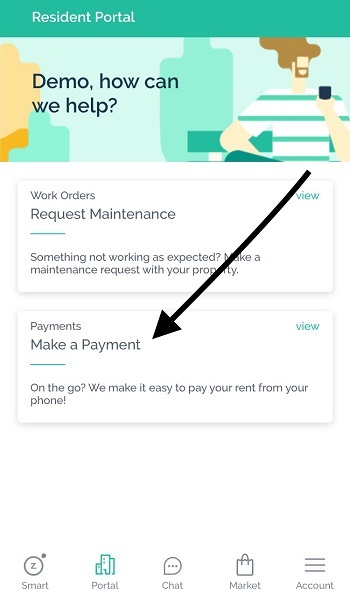 To make a rent payment or submit a maintenance request, you need to navigate to the Resident Portal tab, typically the first tab to the right of the Zego Smart home tab, or the second tab from the left in the bottom of the app. 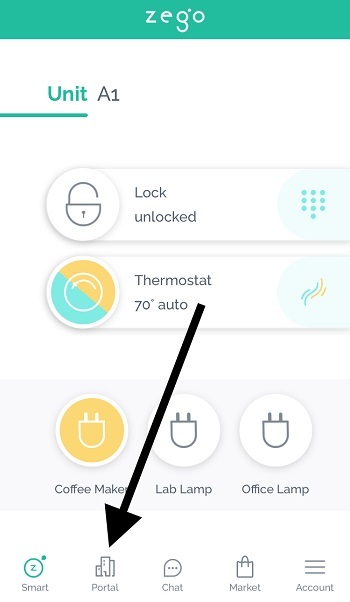 The tab has a small icon of a building on it. To make a rent payment, go to the Resident Portal and then click the “Make A Payment” card. This will then open a new screen where you can view your payment history and make an additional payment. *If your property does not have a rent payment integration enabled, you will not see this card. You will only see the maintenance request card.